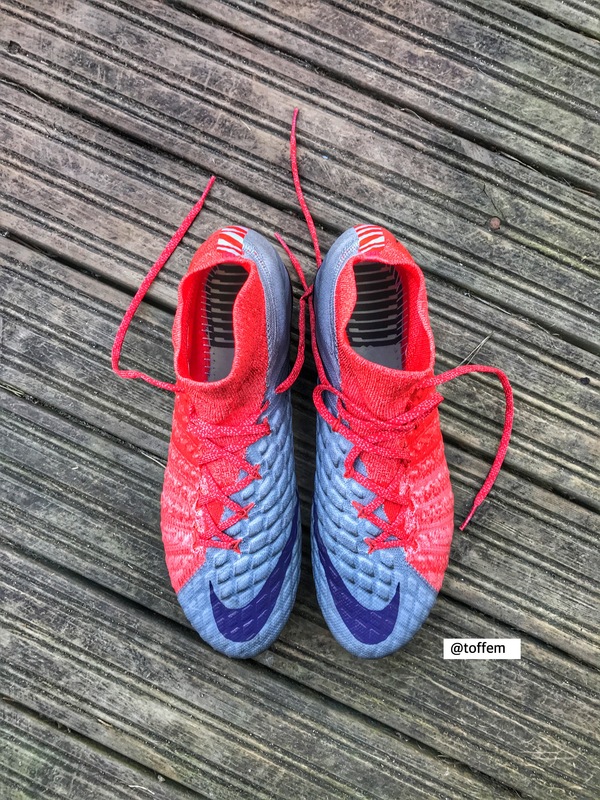 So I just finished yet another project that included football boots. This time the project took me around 12 hours of work and some additional time for the paintjob. The idea behind this project is influenced by the recent collaboration between Nike and fashion designer “Off-White” c/o Virgil Abloh. So Nike launched ten footwear classics reconstructed in collaboration with Off-White in late October 2017. Once I had seen this design I really wanted to create a my version of Off-White in a football boot. I also got a cool concept design made on a computer by my friend Gunt Tansuwannarat. And so I did! Follow my steps through the project. 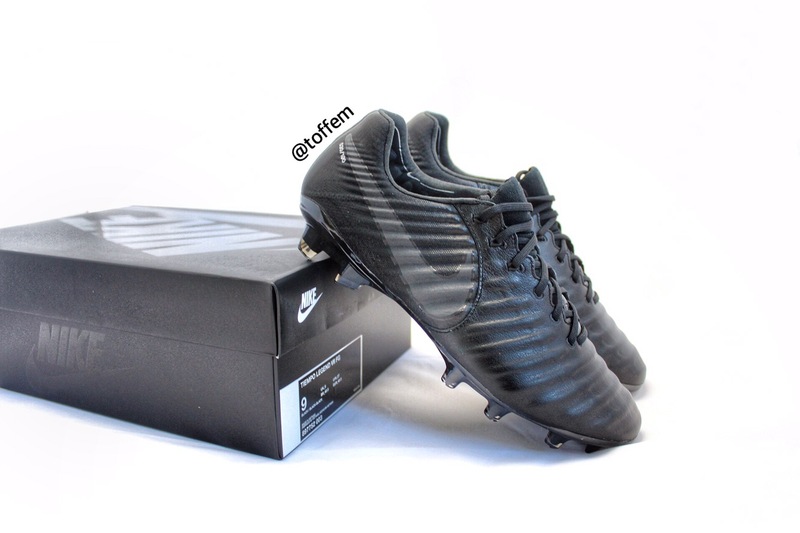 I bought a pair of Nike Tiempo 7 “Academy Pack”, as they were already coloured black. 2. I had to get the leather for the Nike logo, it had to be high quality and very thin because if it´s too thick then you will have problem when sewing it. Also make sure you use a needle constructed for leather. 3. Next thing was to print a paper copy of the Nike logo. Then I used it as a model before cutting the actual leather. Before I even started to attach the new leather logo on the boot I marked the position of the logo with a chalk on side of the boot. This helps me to keep the position of the logo while attaching it. 4. Following step is to glue the logo on place. I used a super glue that is suitable for leather. I glued short steps at time so I got it to fit perfectly and go along the the curvy side of the boot. 5. The next step is the hardest part of it all, the sewing of the logo. 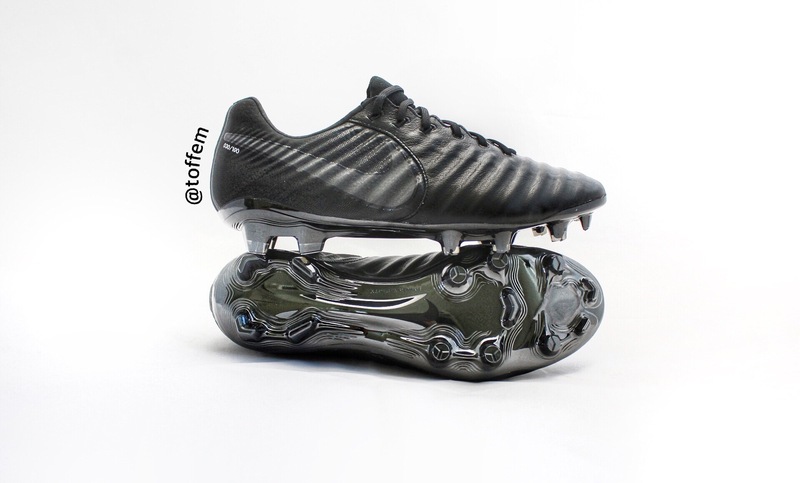 As normally when these types of boots are factory made they are sewed by machine and that´s only possible before the plastic soleplate is attached. So without lying this step took me like 8 hours of work, this because I were not familiar with this type of sewing and because I had to use pliers to reach when pushing the needle out from the inside of the boot. I have to admit I were really close to give up few times, until I got the right technique. 6. Next thing was to attach the small orange leather tag to the boot, also by sewing. 7. Before bringing them for the paint job I wanted to add a chrome tongue on them. As the boot looked as good with and without tongue I decided to use velcro tape. This allowed me to remove and attach the tongue if I so want. I sew one side of the velcro underneath the original short tongue on the boot and the other I sew into the new chrome tongue. Here is some pics of the boots before paint job with and without tongue. Thank you for reading and please leave feedback! and a perfect shape to the upper. 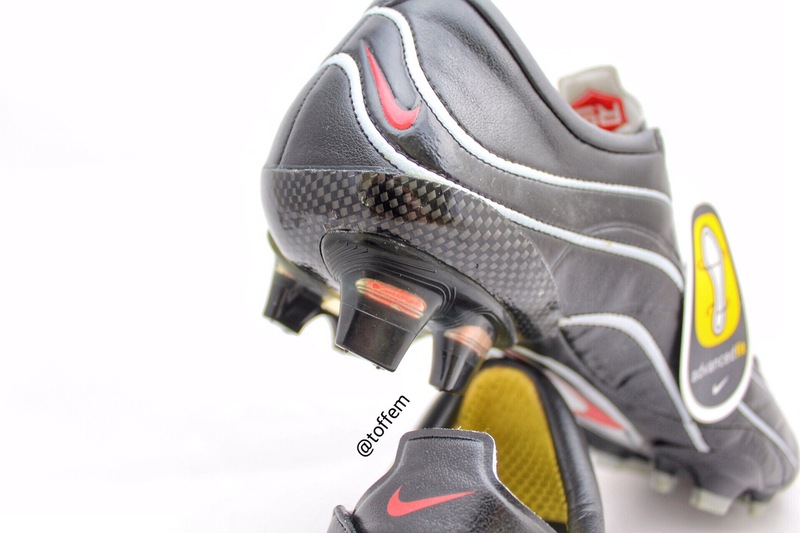 Also it made the boot more durable than earlier Vapors. Nike added also some padding to the heal area with a supportive carbon last. 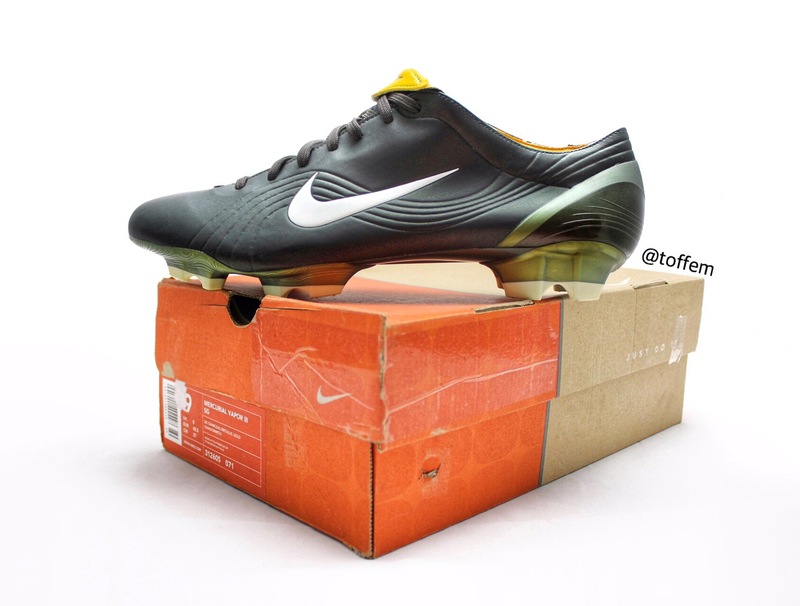 The boot itself weighed around 196g, which was very light back in 2006. Another new feature was the two-piece soleplate that gave extra lightweight. 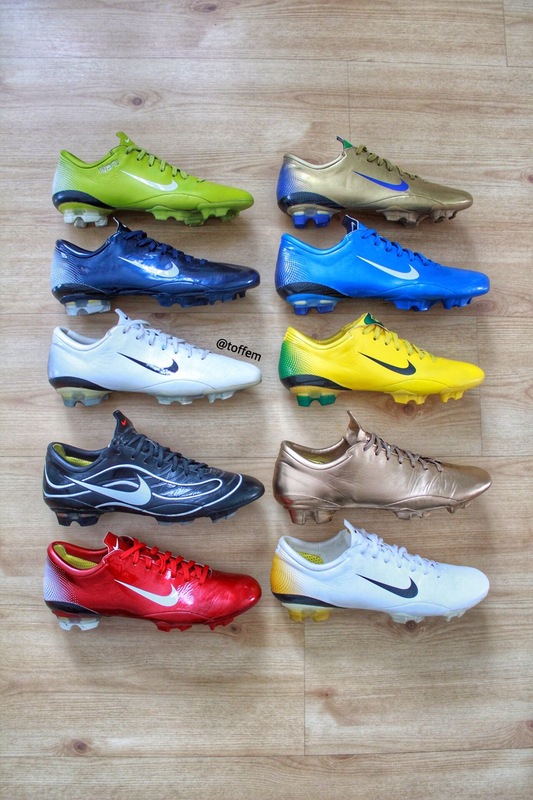 Nike released 15 different colorways of the Vapor III. 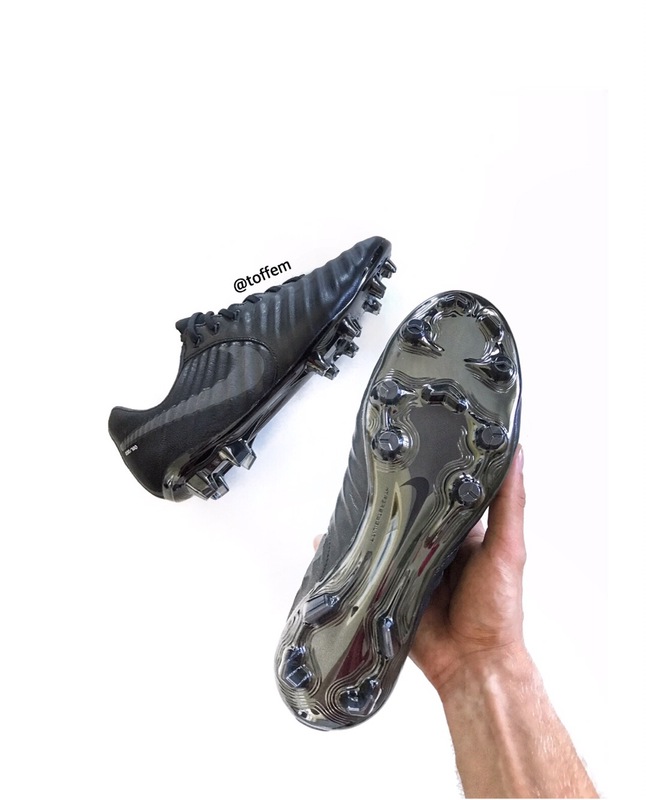 Most special of them is the Nike Mercurial Vapor III 10th Anniverary (black/white) they were a limited edition 1000 pairs made to celebrate 10 years of Nike Mercurial! 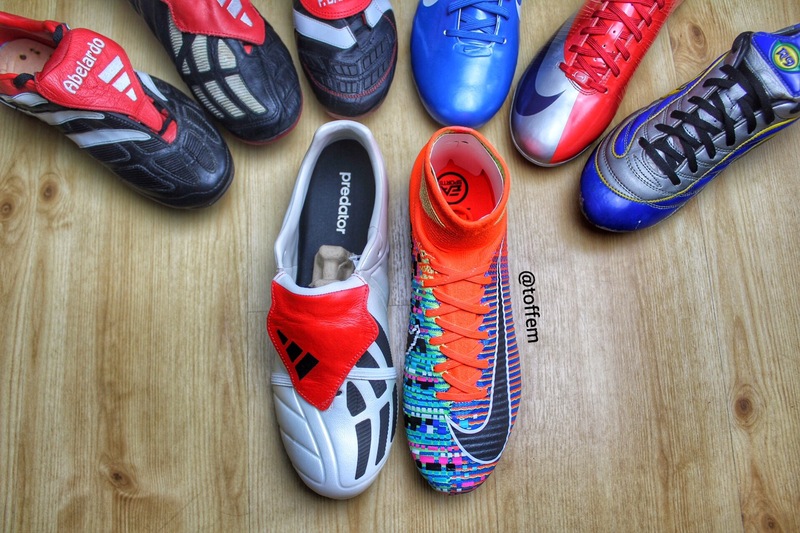 The boots were worn by Ronaldo, Thierry Henry & Didier Drogba and ofcourse by the rising star Cristiano Ronaldo. Thank you for reading, more to come! Cup Champions. 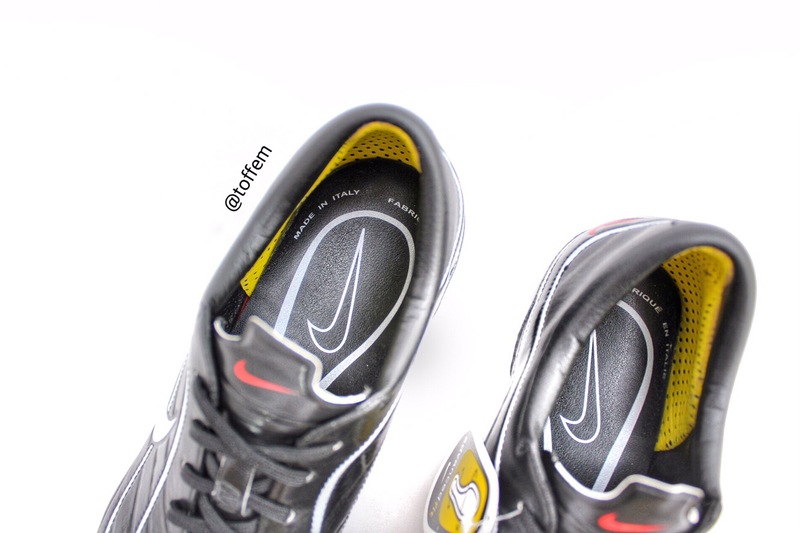 The Chrome/Lime was the first numbered limited edition boot by Nike, they were limited to 4600 pairs globally. 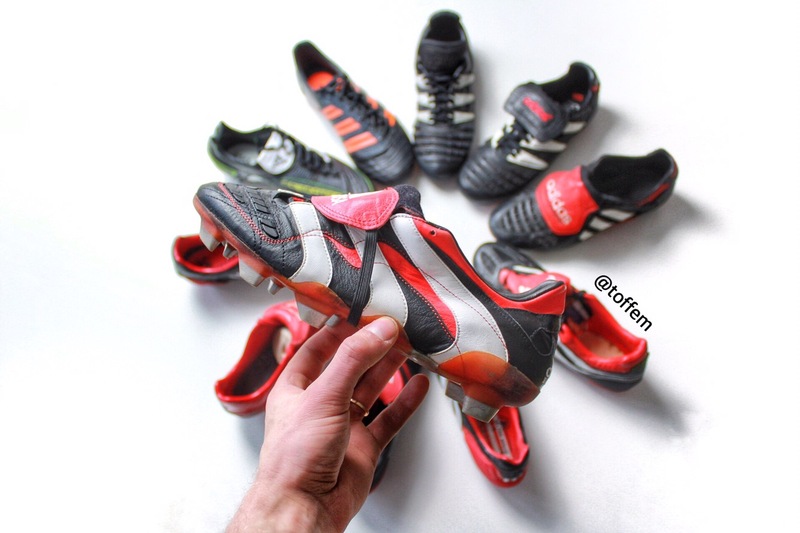 For sure one of my favourite boots in the history. Nike officially introduced on 26th of June the all new Nike Tiempo VII (7)! They will be sale today 10th of July. 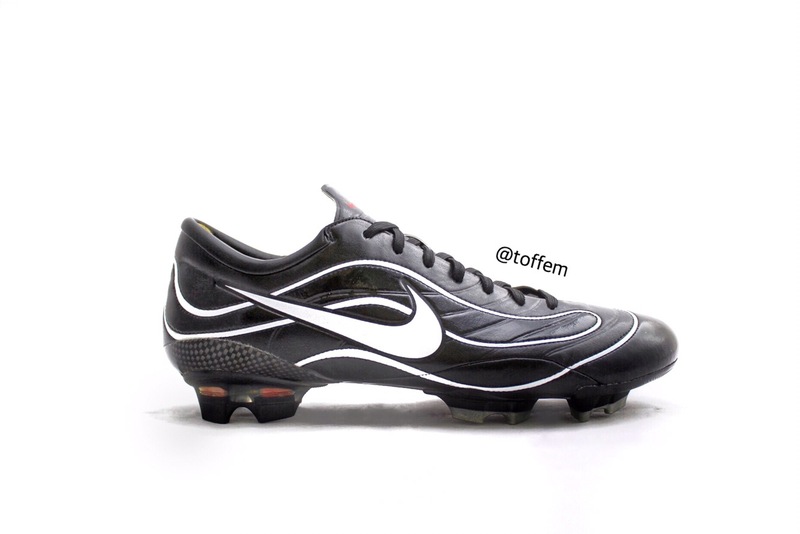 Lucky enough I was given this Limited Edition Nike Tiempo VII “Platinum Black” before the official launch, there is only 100 pairs made worldwide and only given to football boot influencers around the world! A big bonus is the fact that they are individually numbere, my pair is numbered 30/100. Heel area and the tongue is made of Flyknit, reduces the weight by 22%. Middlefoot is constructed of flywire cables for better strech and stability. On top of the flywire cage Nike added a soft K-leather upper to give a better touch to the ball. NikeGrip is also added to the new Tiempo to prevent the foot from sliding inside of the boot. 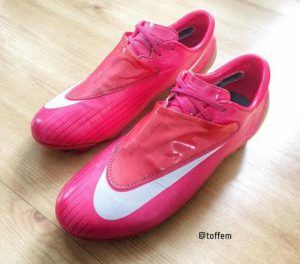 Nike has also made a whole new soleplate, Hyperstability, and it’s lighter than the previous soleplate. 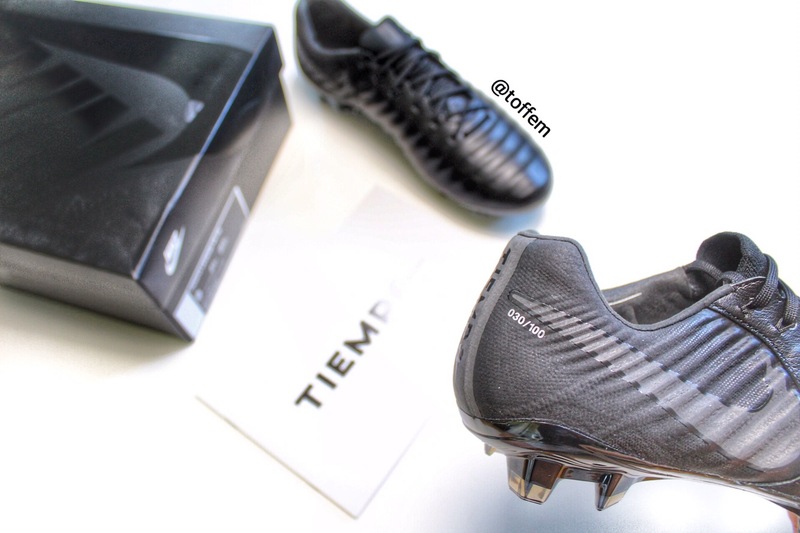 Such a comfortable boot and when you add the good look on this boot then for me this is the best Tiempo ever! 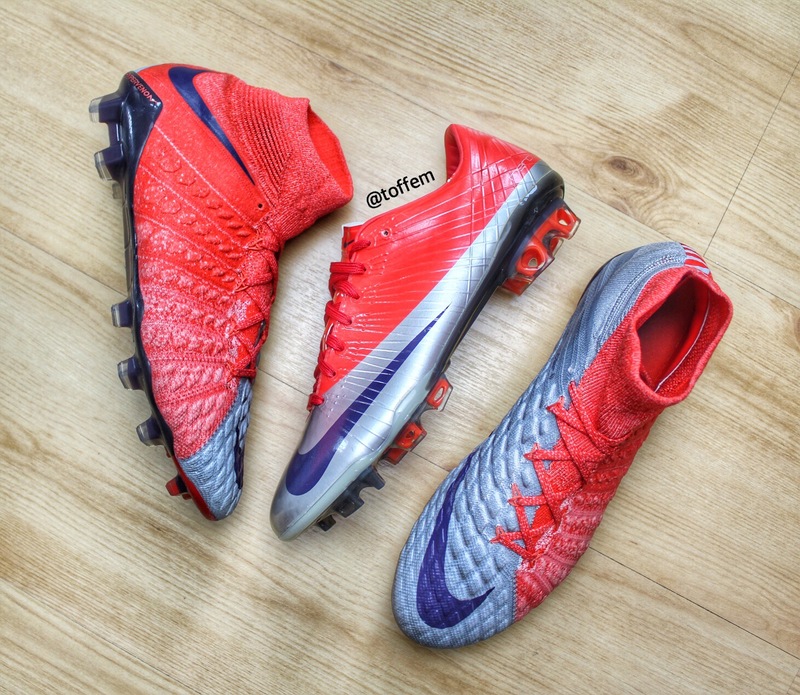 Nike continued strongly with developing the Mercurial range and also creating two new models Magista and Hypervenom. 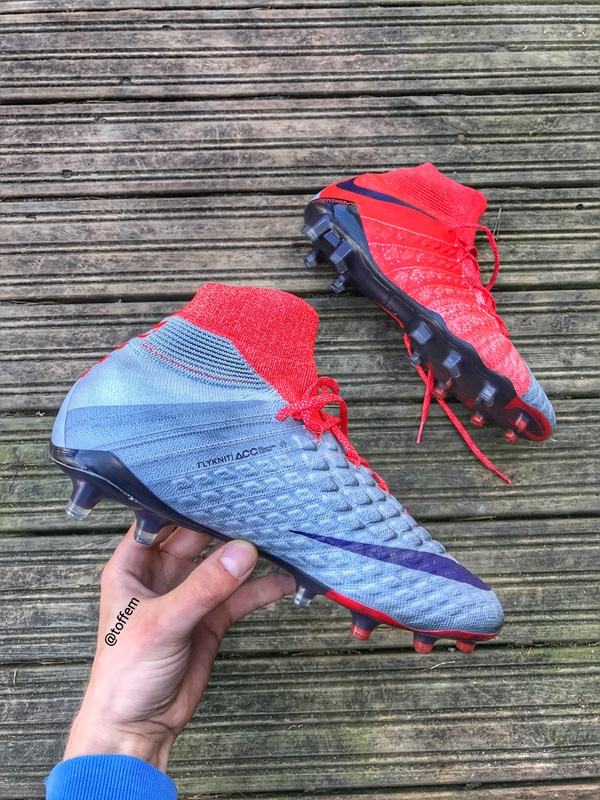 For me the new Mercurial Superfly V, Hypervenom Phantom III & Magista Obra II are one of the best boots Nike have produced in the last years! As I have been wearing Mercurial for most time of my career, I’m happy to see that they are developing the boots all the time. If the years 2014-2015 were a slight dissapointment from Adidas then they really pushed up things in 2016! Some great boots as the Ace16+ PureControl with laceless technology and X16+ PureAgility to battle as a speed boot against Mercurial! 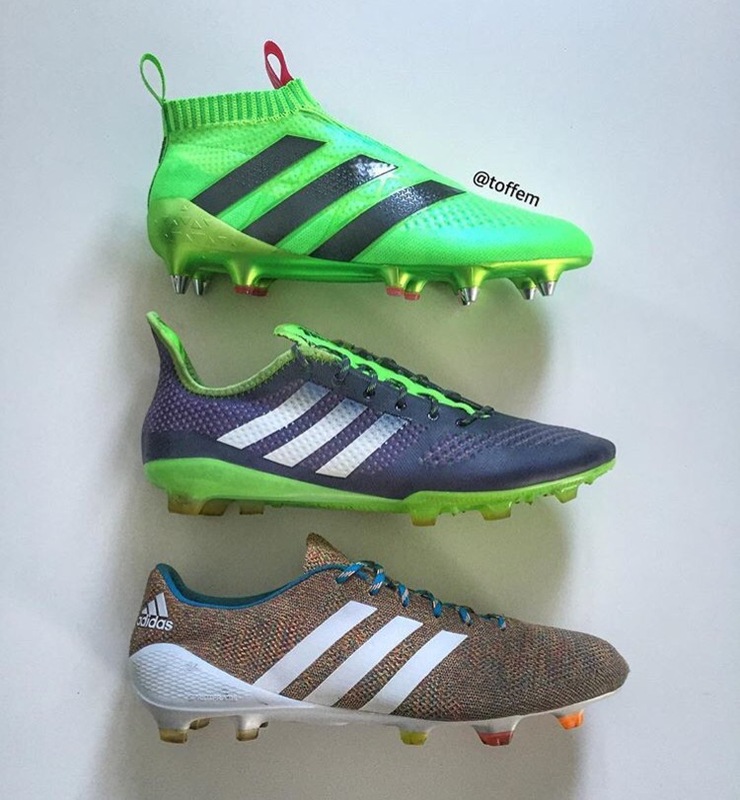 So both brands are once again seriously compeating of providing players with the best boot options! This is important as competition is the only way to improve your own products. 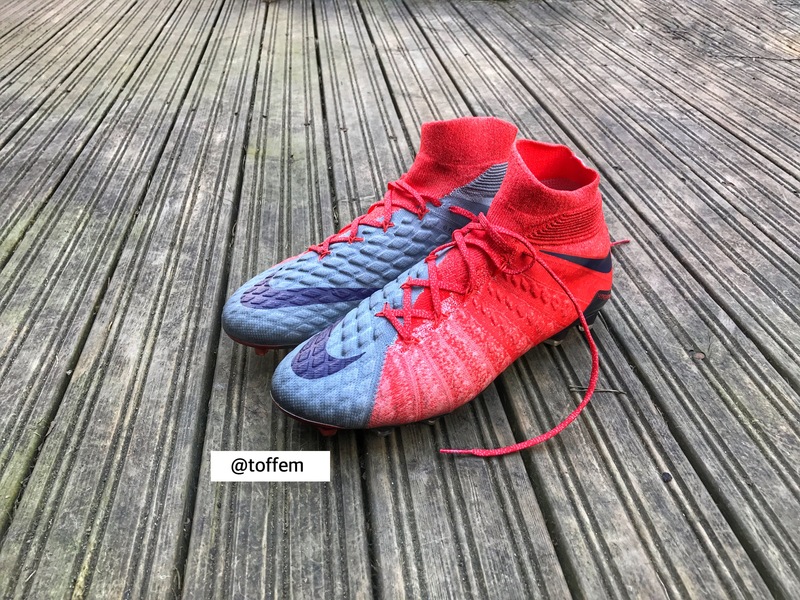 The boots where released in late January of 2017 and I instantly fell in love with these women’s colourway, perhaps because they really match the release colourway of the first ever Superfly! 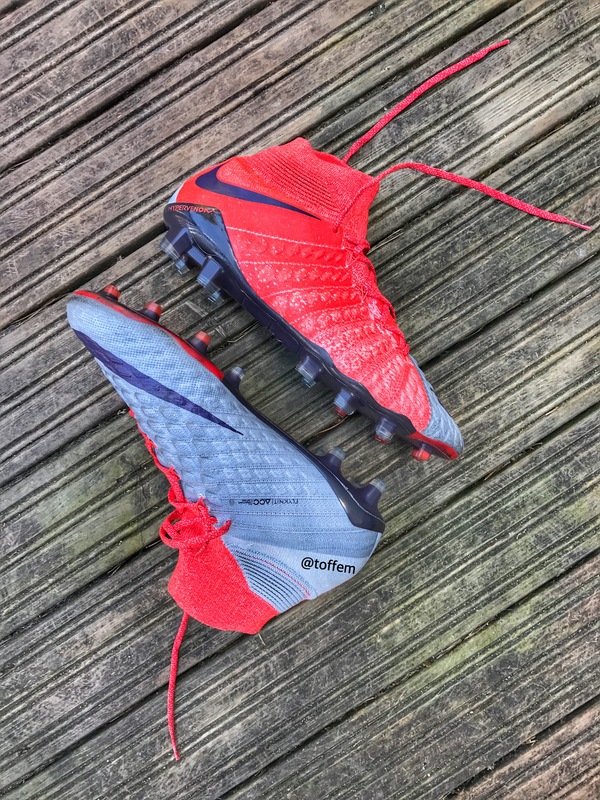 Really like the new Nike Hypervenom Phantom III, Nike added some new features that really improves the boot from last generation. 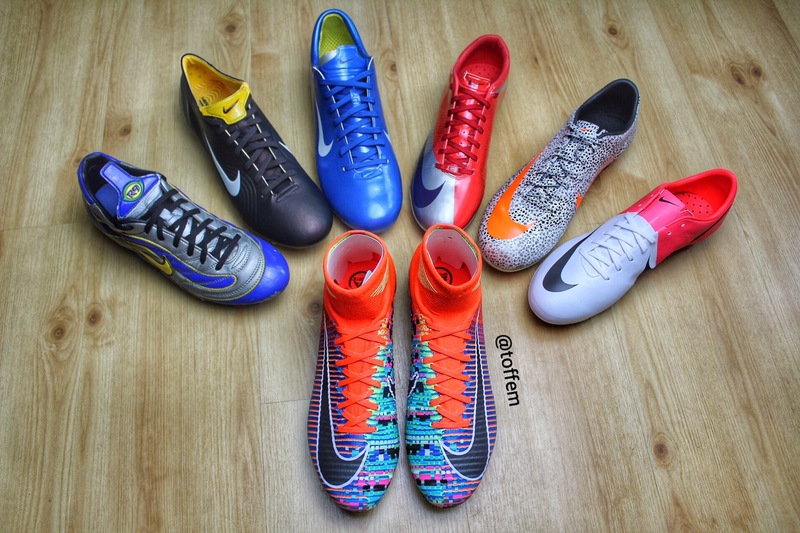 The soleplate is compleately new and developed by Nike in over 6 years time. The soleplate is more flexible in the forefoot area and gives more support in the heel. The studs are designed lateral cuts and sharp turns. Here you can see the “Poron” foam pods, also the one-piece flyknit upper and asymmetrical lacing. Nike is also using a lockdown system inside of the boots. As you see in the picture there are some lockdown ribbons in the heel area. A boot worth to try! Thanks for reading.